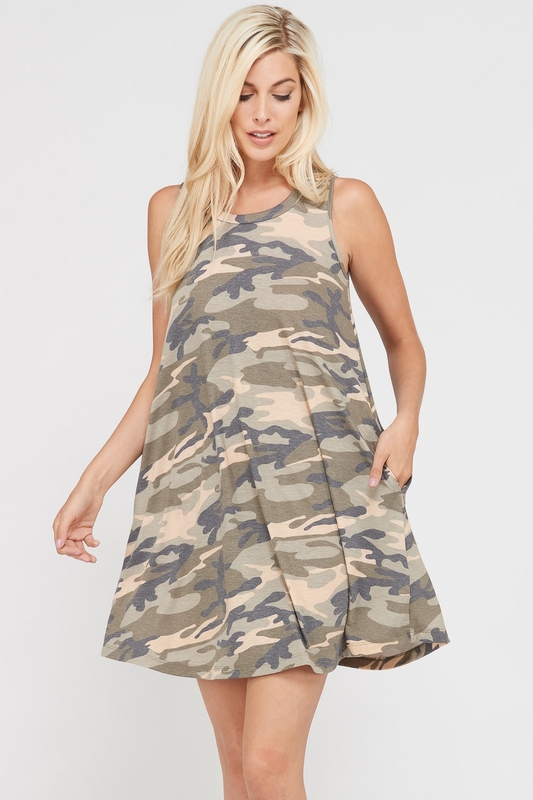 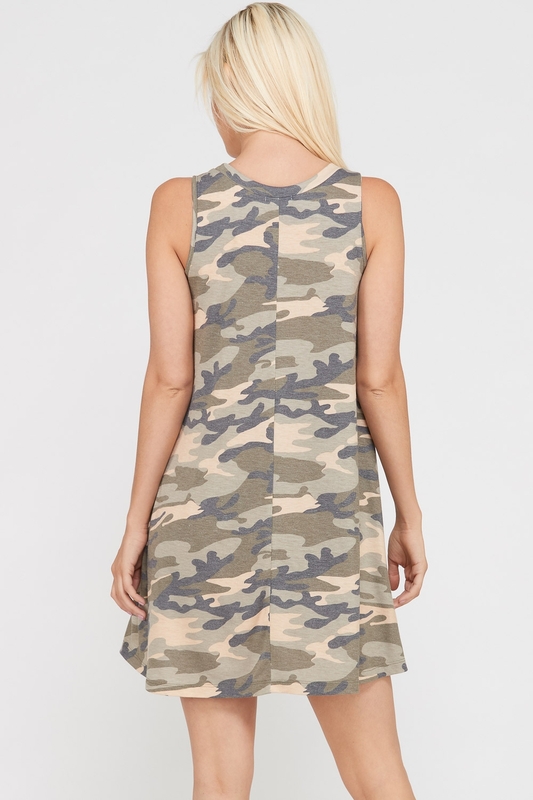 Why blend in when you can stand out with this cute camouflage print sleeveless dress. Why blend in when you can stand out with this cute camouflage print sleeveless dress. 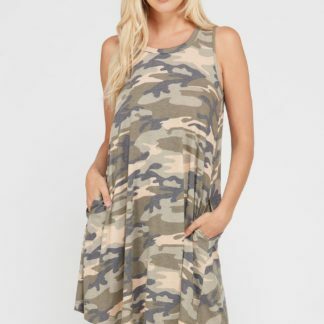 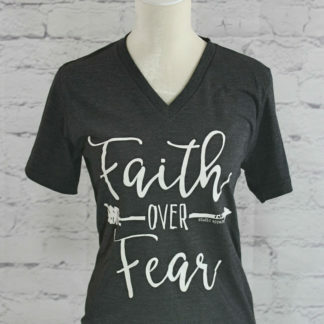 Dress has side pockets and is 87% Polyester, 10% Rayon, 3% Spandex for ultimate comfort and easy care.